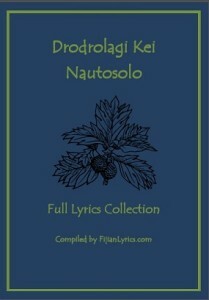 Download your Free Copy of the Drodrolagi kei Nautosolo Lyrics collection. This includes almost 50 songs like Tagi a Manumanu, Bau Nanumi Au Eke, Sulu Silika and many others. Just Fill Your Name and Email and we will deliver it to your email address immediately. Thank your for Visiting our Site. I love the way the lyrics have been put. I really enjoy listening to these songs. The best ever fijian sigidrigi band. Please send me lyrics of your old and latest songs,i like listening to all your songs. please send me a copy of their lyrics collection…..
Is this where I request the lyrics?